Acrucial weapon in the fight against arthritis is medication that, in some cases, slows disease progression as well as easing pain, maximizing joint function, and improving quality of life. There is no one-size-fits-all solution—trial and error may be required to find the drug (or drug combination) that works for you. 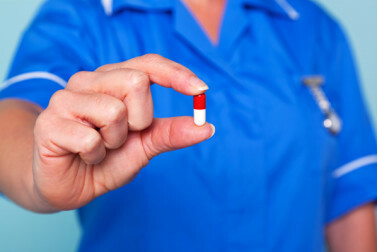 Arthritis Medications: Which Drugs Will Your Doctor Prescribe? Doctors have at their disposal a broad array of arthritis medications: some fast-acting and widely used, some that run the risk of dependence. Your prescription will depend on the severity of your condition. Until now, scientists have been unable to understand the mechanism by which those painful deposits of crystals that plague gout patients occur. Why? Because the crystals were being destroyed during routine examination in pathology labs.